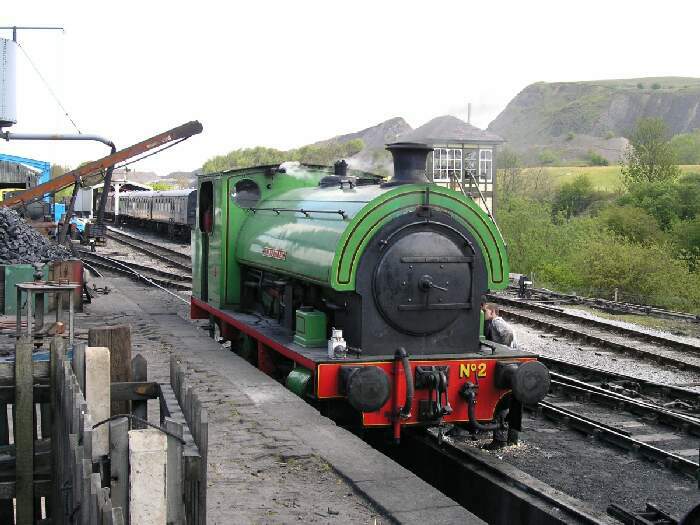 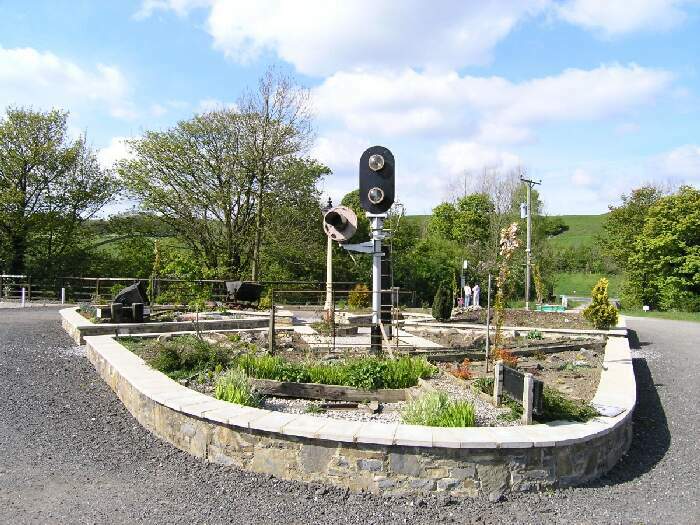 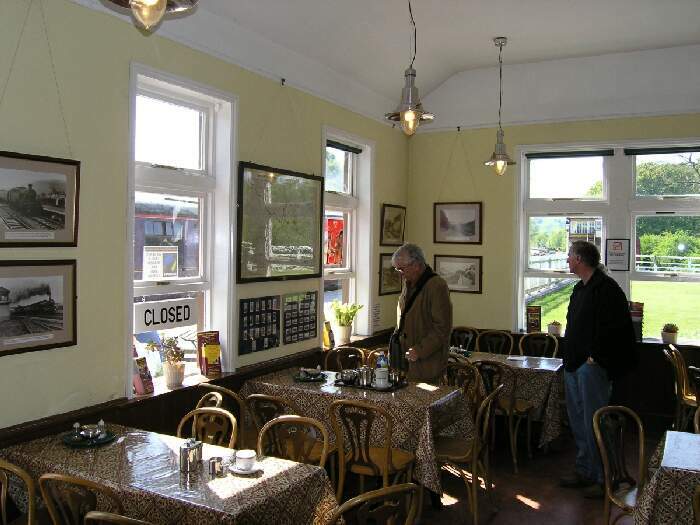 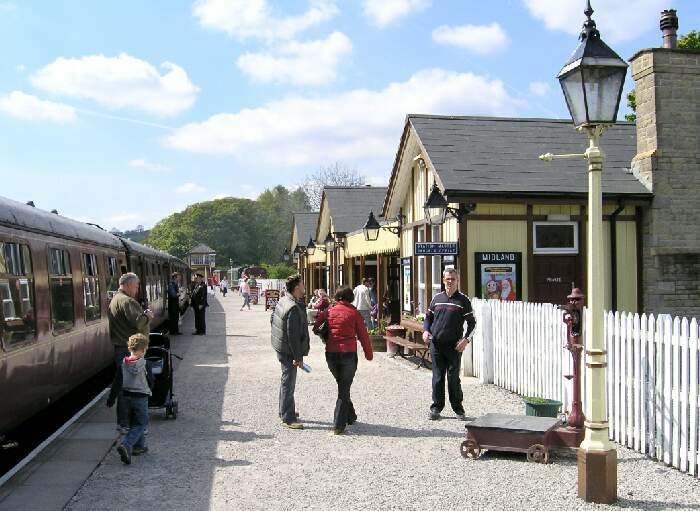 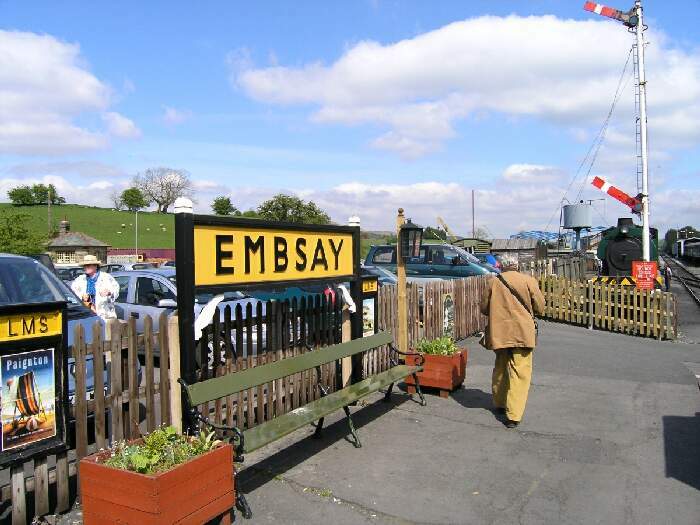 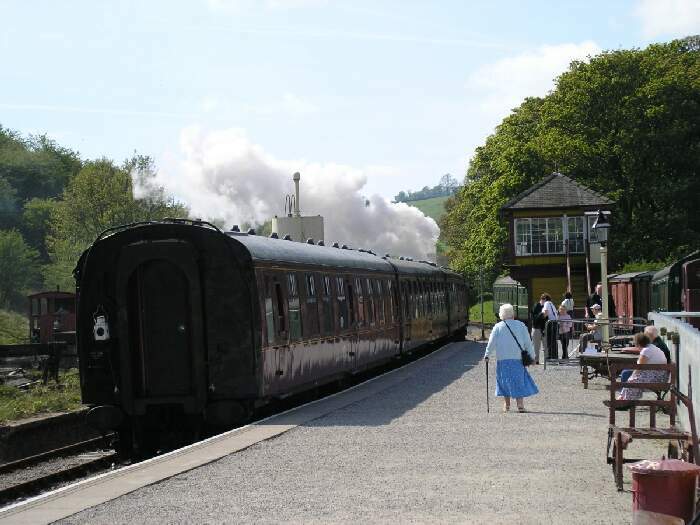 We visited this railway and rode its train on a beautiful May day in 2005. 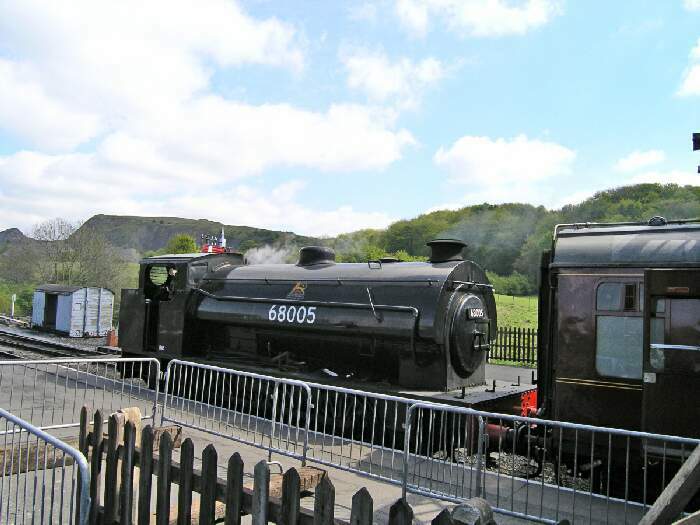 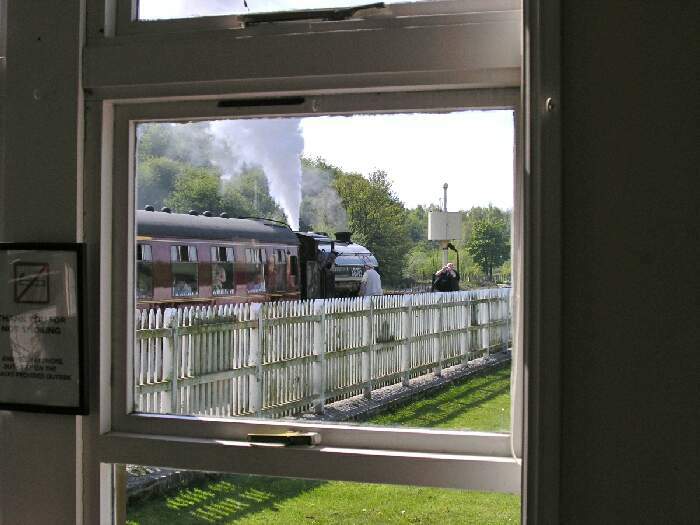 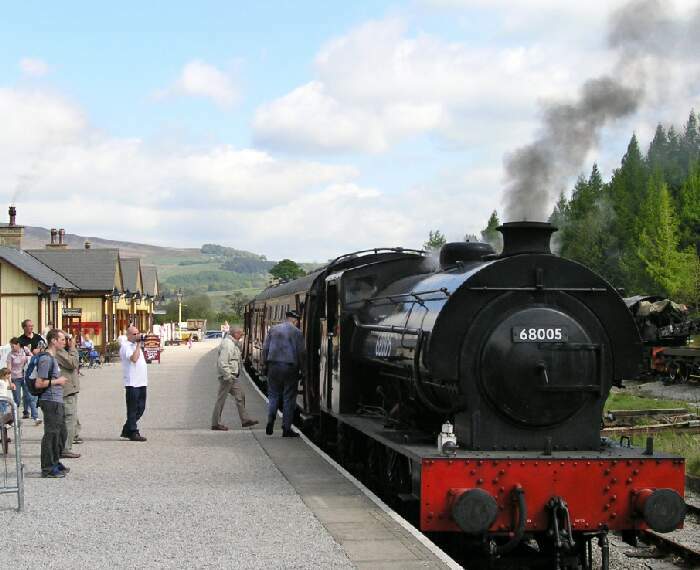 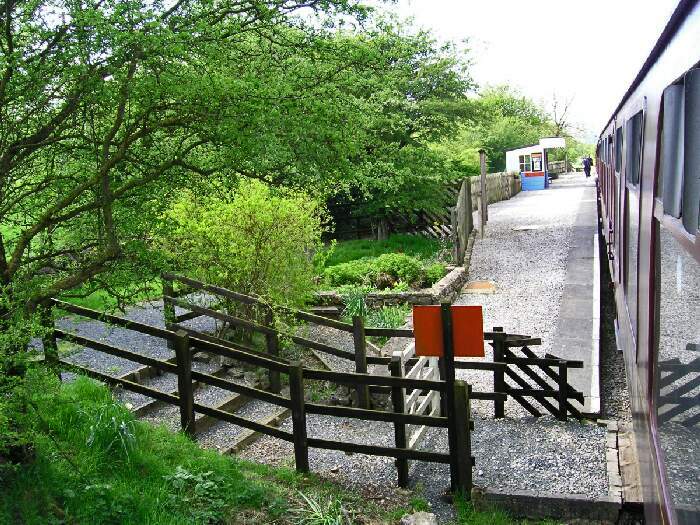 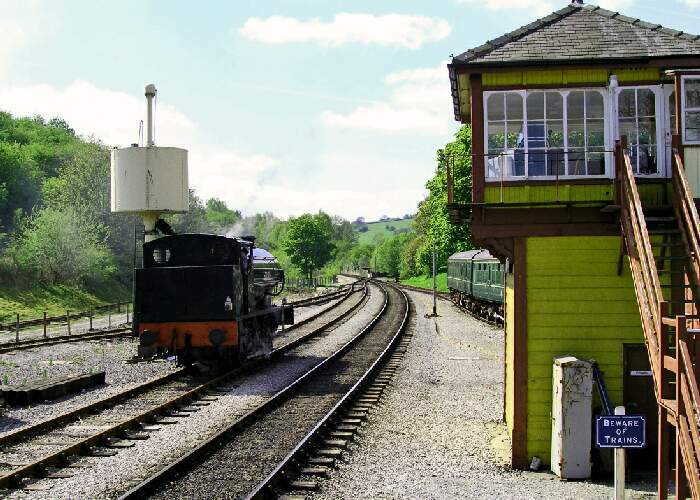 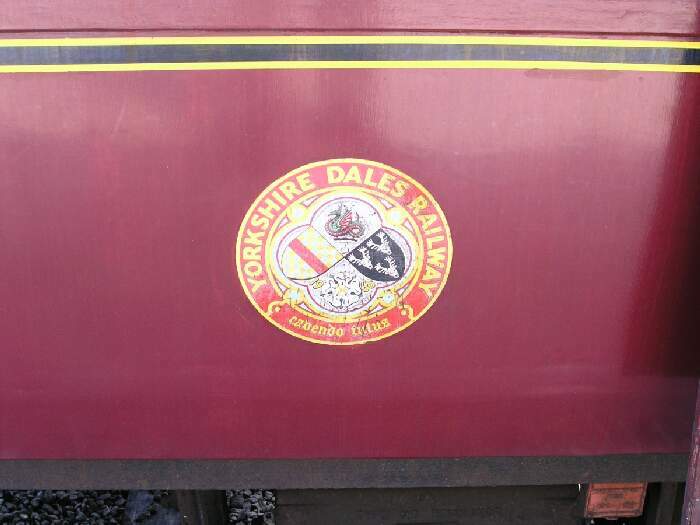 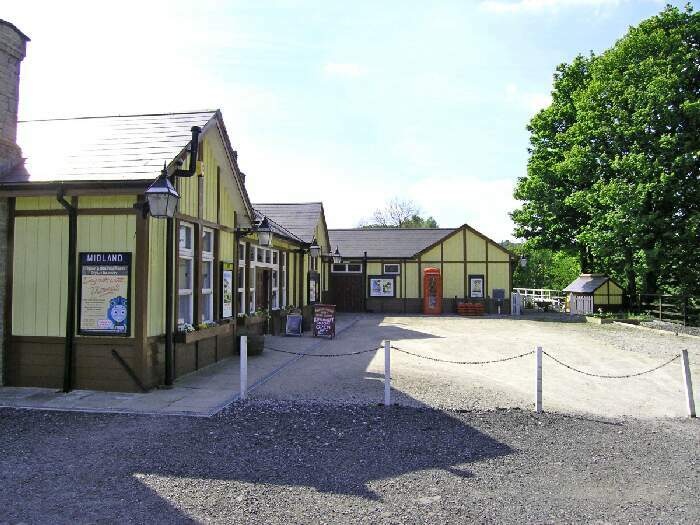 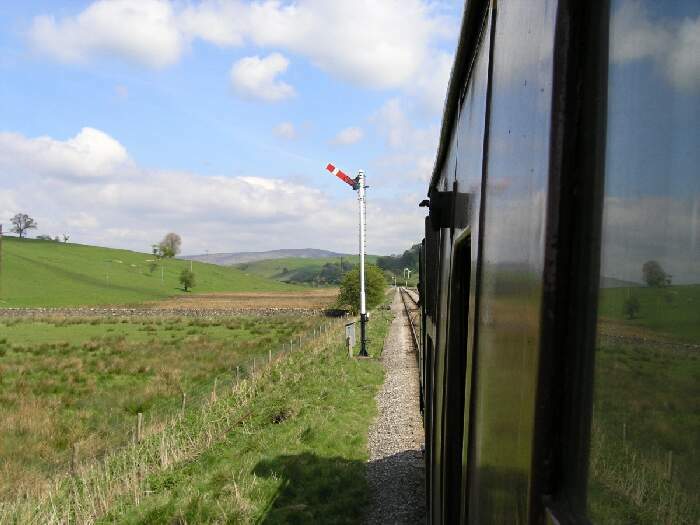 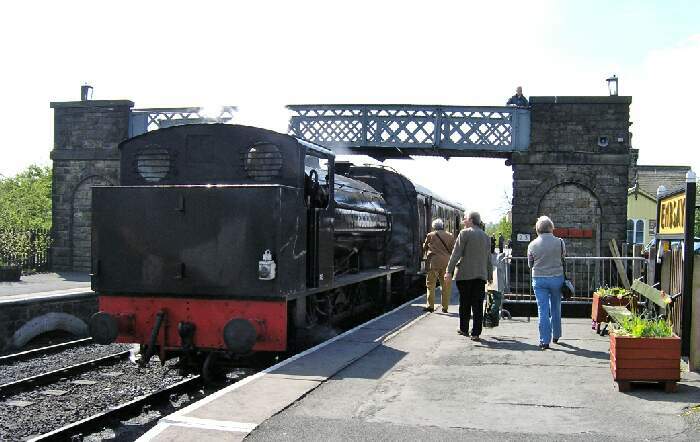 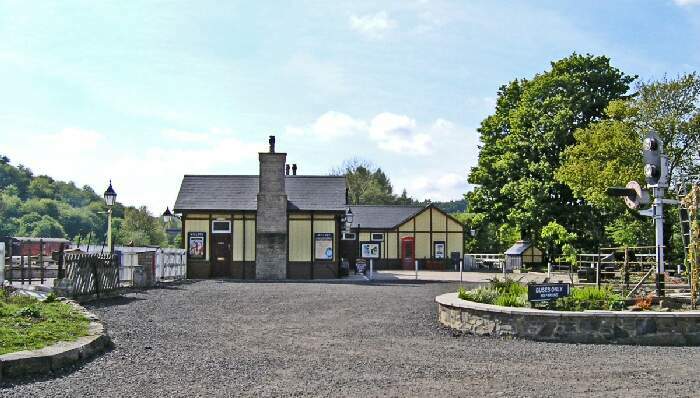 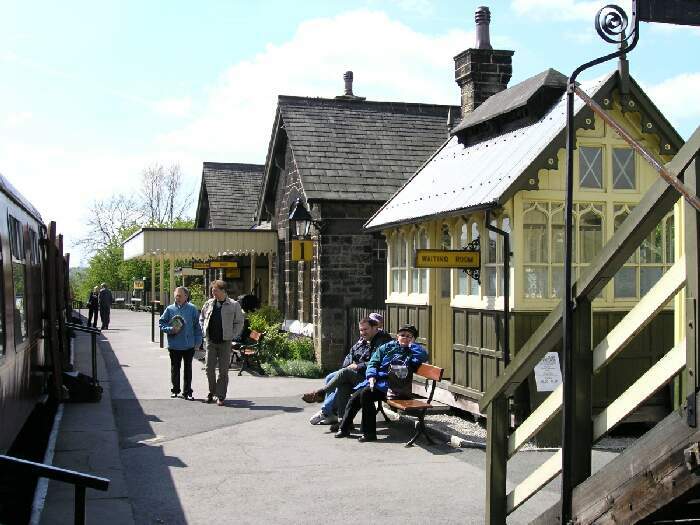 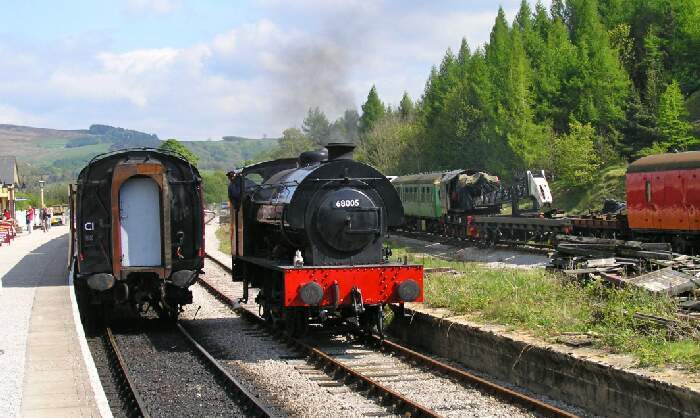 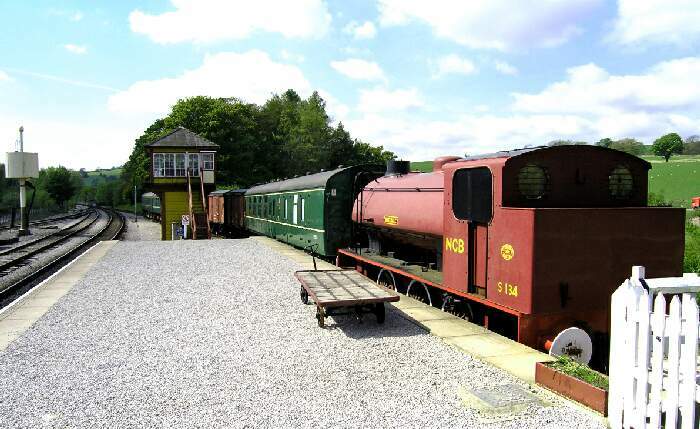 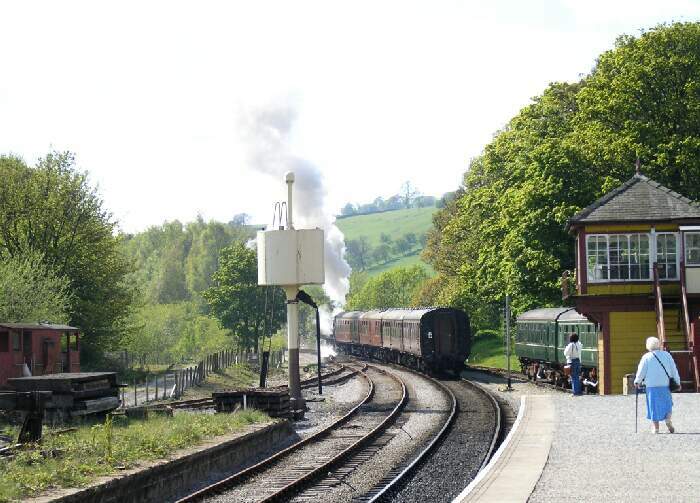 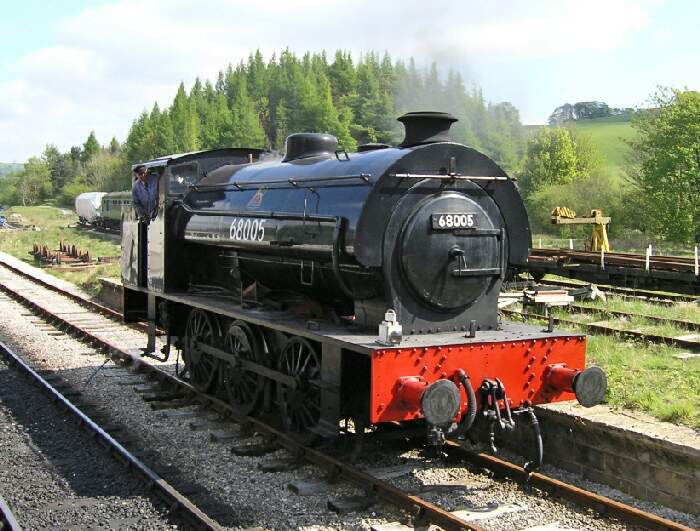 Located near Skipton in the Yorkshire Dales, it is a lovingly restored little line that can be explored inexpensively and easily in a few hours. 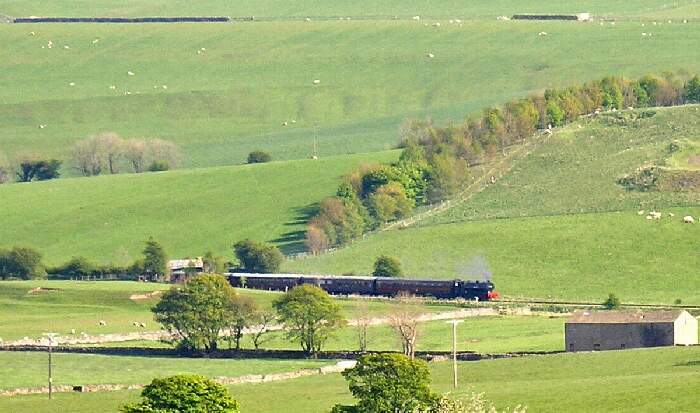 We begin with a photo taken of the train, which was a mile away, from the farm on which I was staying. 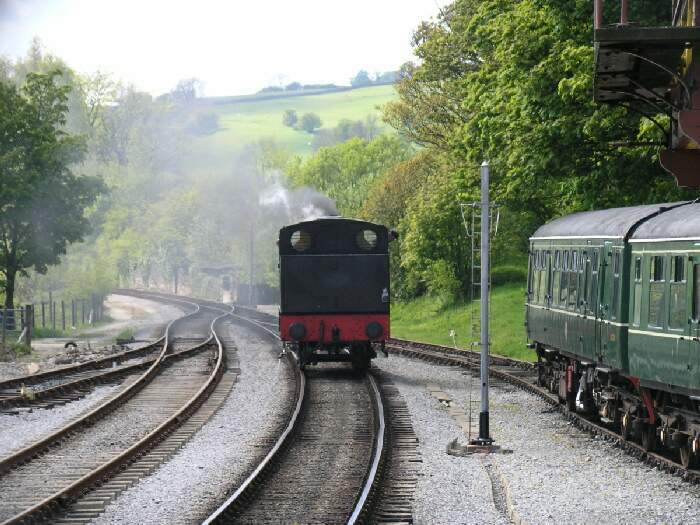 It doesn't get more bucolic than this. 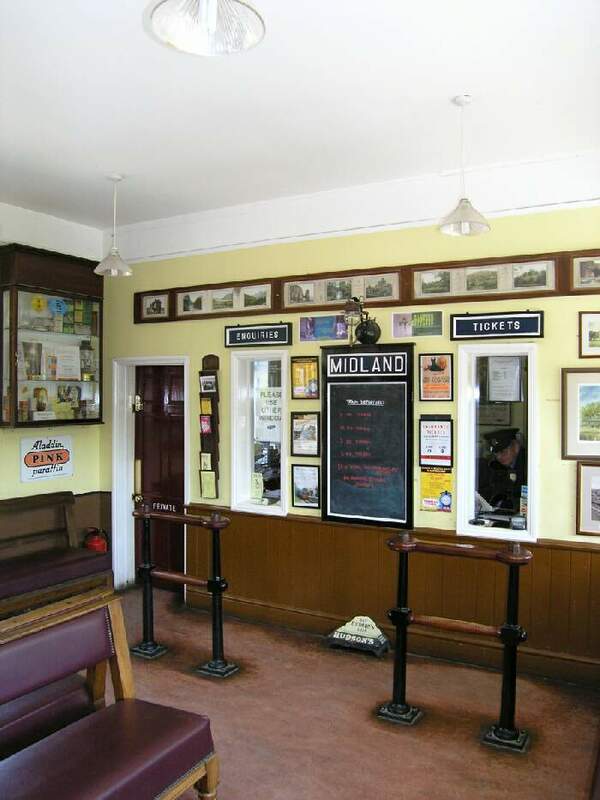 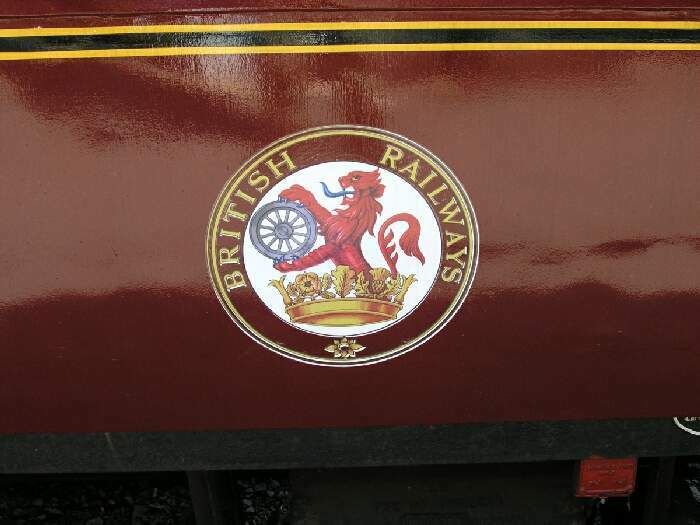 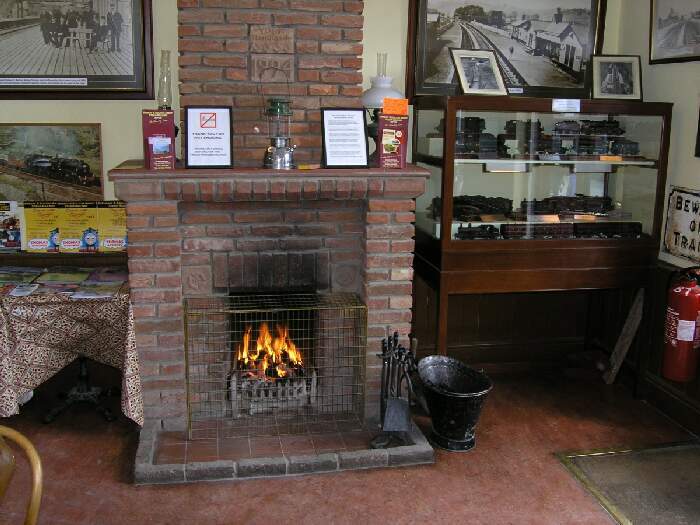 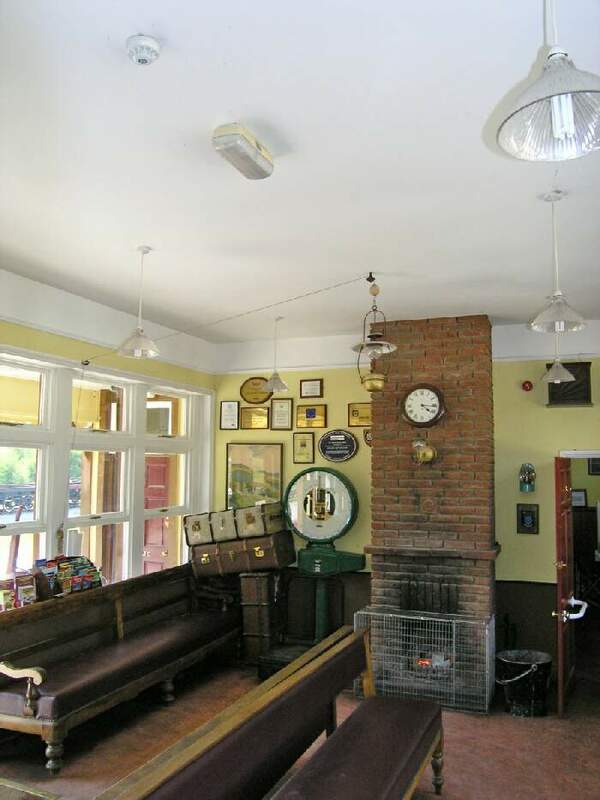 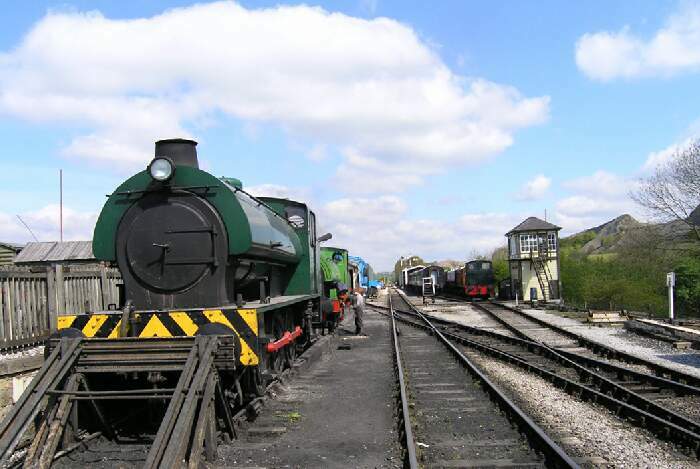 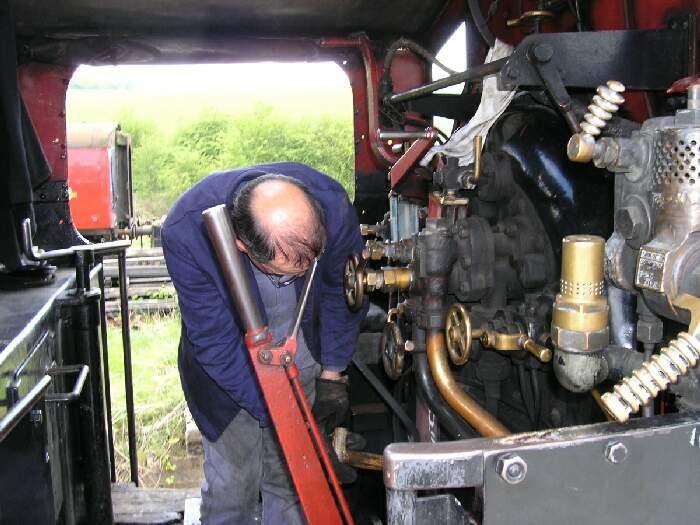 To visit the railway's website just click here. 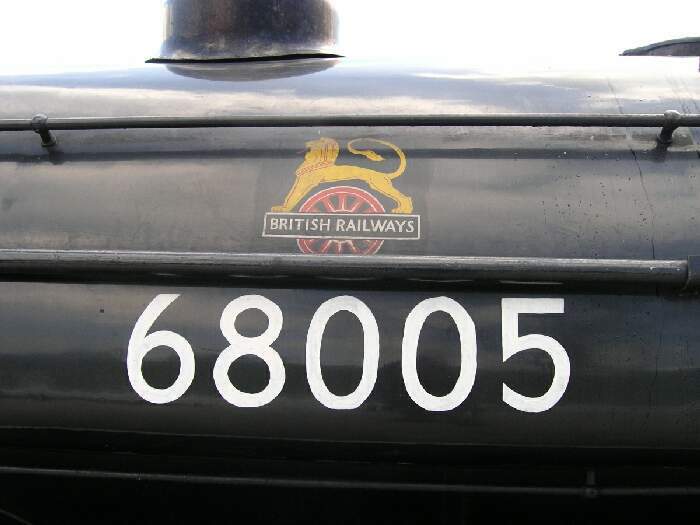 For photographers, all images on this page were taken with an Olympus 5060 digital camera outfitted with wide-angle and telephoto converters. 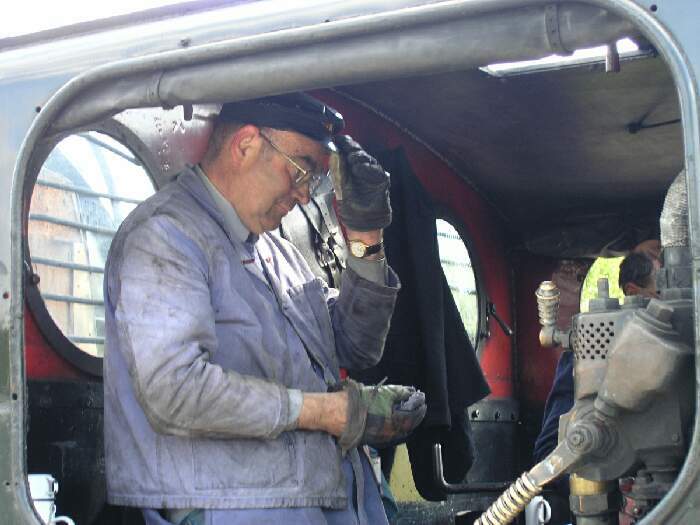 Post-processing was done with Adobe Photoshop Elements 3.0. 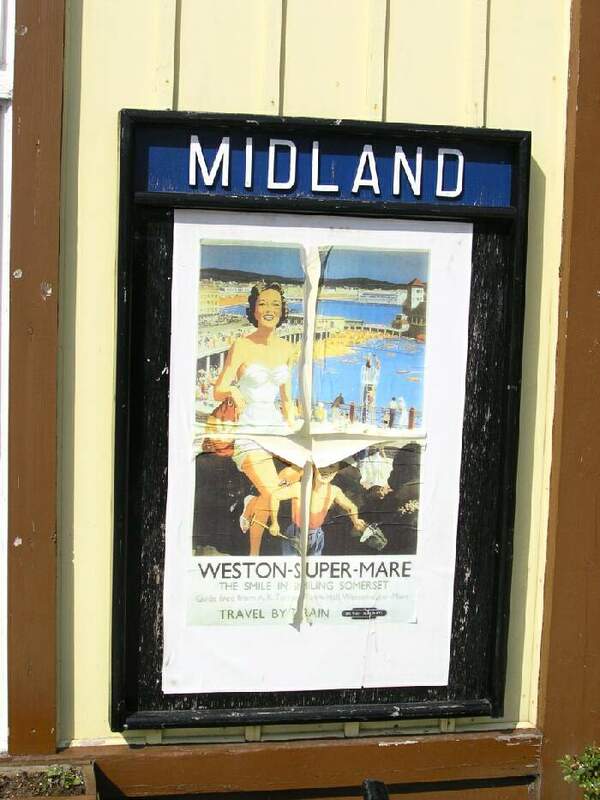 I welcome questions and comments about the images.